Perform - The Talent Trifecta - Present. Perform. Promote. 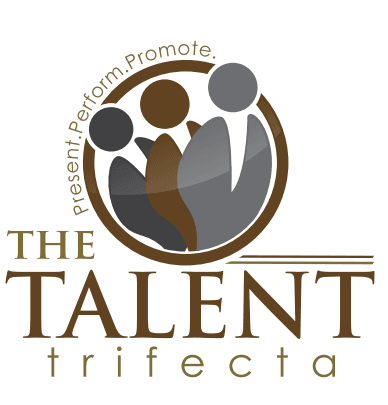 The Talent Trifecta provides individual or corporate sponsored career coaching services. Your organization’s success hinges on the personal effectiveness of its leaders. Increase their self-awareness, adaptive leadership – and communication skills, their ability to influence beyond formal authority and the entire organization reaps the benefits. The Talent Trifecta career coaching produces both the business results you need now, and the personal transformation that drives future success. Aligning the development needs of the individual with the objectives of the organization, we provide a confidential and supportive feedback-rich environment where your leaders can gain valuable insights and develop positive new behaviors. Learn how to project mature self-confidence, poise under pressure, authenticity, empathy, warmth and strength. Develop a blend of persuasive leadership competencies that inspire trust, enthusiasm and buy-in. Whether it’s a high-stakes meeting, a hallway chat with a colleague or a town-hall meeting with the entire organization, failure to get the right message across can be costly. We can help leaders communicate clearly and confidently at every level of the organization – from the boardroom to the watercooler. Understand and manage conflict constructively, resolve disputes quickly. We’ll help your leaders develop the skills that build collaboration and common purpose, increase employee engagement, productivity and retention. We can speed up mastery of the new challenges. From quickly digesting new information and developing new competencies to building strong relationships across organizational boundaries, we can help your leaders hit the ground running in their new role and add value from day one. When it comes to accomplishing shared objectives, E.Q. matters as much as I.Q. Learn a range of skillsets that drive success – team leadership and collaboration, how to build trust, influencing skills, managing emotions, resilience and conflict management.